Few things in nature are as impressive as watching salmon valiantly leap upstream through raging rivers to spawn their next generation. Their journey can be thousands of kilometers long, and once completed, most salmon species die within a week after spawning. The largest of the Pacific species, the Chinook salmon are an important food source for marine mammals, bears, birds, and other fish. Along the California coast, however, their population is declining due to threats from overfishing, habitat loss, and human development. 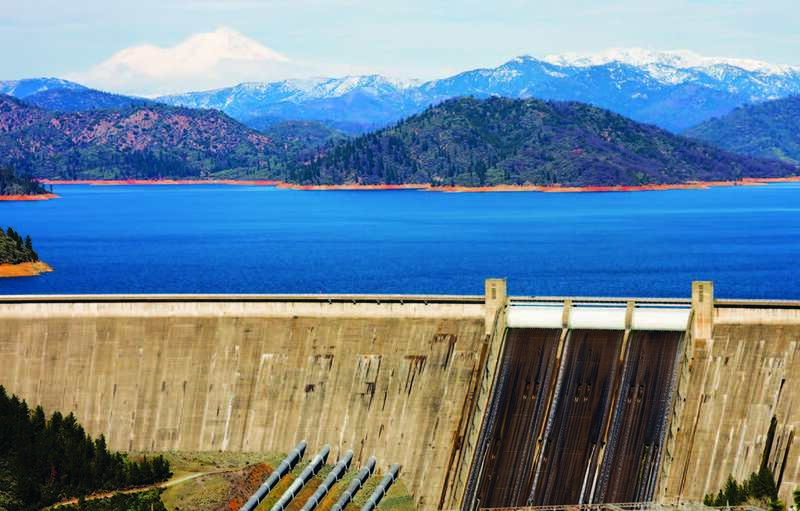 Since 1991, the Sacramento River’s Shasta Dam has had a temperature control device that allows dam managers to selectively withdraw water of various temperatures from different elevations in the reservoir, and then channel it through the turbines to generate electricity. Despite the innovation, the temperature of the water released from the dam can still impact ecosystems many kilometers downstream; and until recently, managers did not have the data to see the small-scale details and the long-term effects of their releases. For the Chinook salmon, water temperature is the key to survival. In the laboratory, research has indicated that a river temperature of about 14°C or less protects eggs from dying in the spawning nests, called redds. 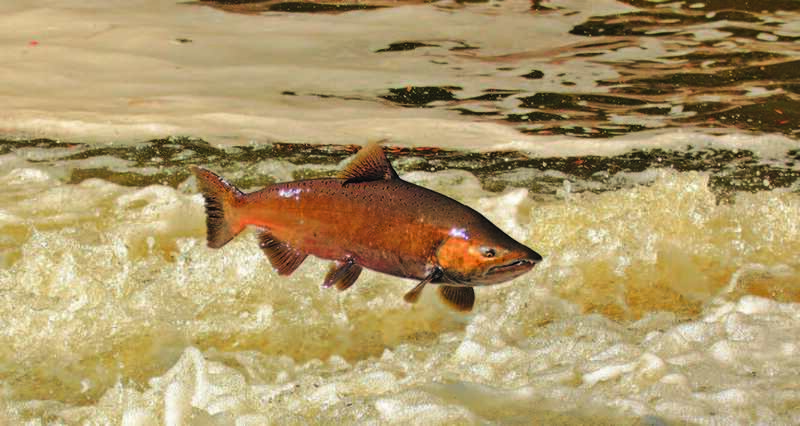 Redds are more vulnerable to temperature than any other stage of salmon development, and the “winter run” Chinook variety are the most threatened because they lay their eggs in the summer, when the river water is at its warmest. This analysis has also shown a large discrepancy in how the Chinook salmon have been faring over the decades. 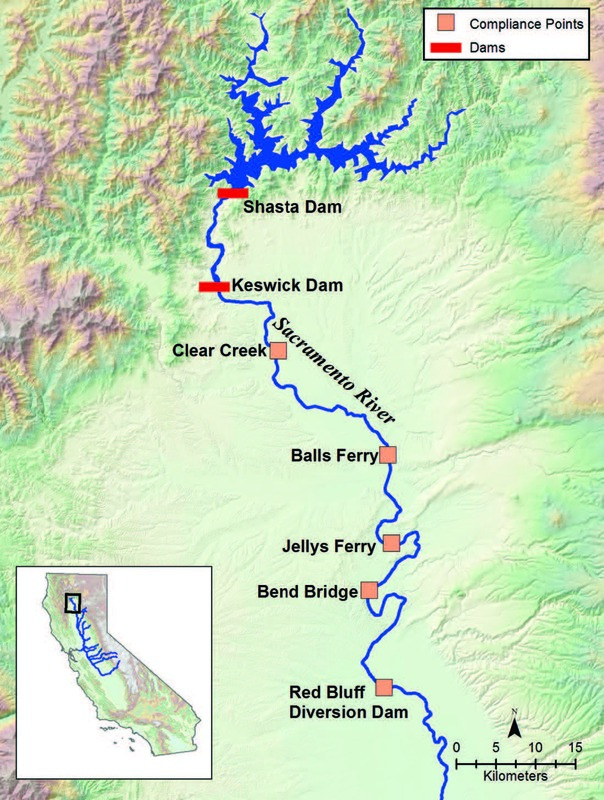 Danner confirmed this finding and added, “We have applied this approach to the past 25 years to estimate the temperature-dependent egg mortality during each year—in some years there was zero mortality, in others it was as high as 95 percent.” And in recent years, the historic California drought has left so little cold river water available that concerns for the salmon have risen again. Eric Danner leads this project.